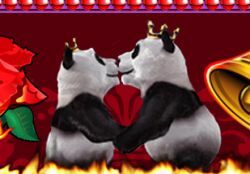 Great news for romanticists: Royal Panda hosts a fabulous Valentine’s Day promo, allowing two fortunate competitors to meet their true love in Las Vegas. On top of all that, they will be able to take the plunge in the exciting gambling hub in Nevada. Love is definitely in the air at Royal Panda, and this year’s Valentine’s Day will be one to remember. Check the male and female scoreboards to find out which players Cupid connects. Head to Royal Panda and add some extra romance to this year’s Valentine’s Day thanks to the Burning Desire promo.